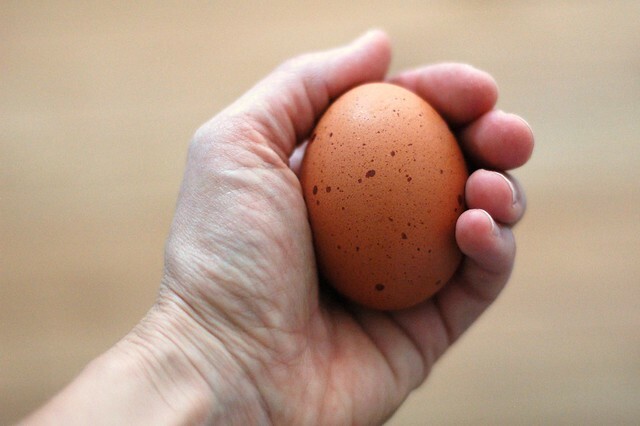 A reader recently asked me if I could expand the post I did last year on picking the best milk to include eggs, another food for which there are a lot of confusing buying options. Although there are more details below, the short answer is that you should look for eggs that are "pasture-raised" from a farm near you. Pasture-raised is pretty much what it sounds like - eggs laid by hens that are raised with open access to pasture where they can scratch, peck, bask in the sun, eat bugs and greens and run around to their hearts content. Unfortunately, "organic", "cage-free", and "free-range" classifications/certifications do not guarantee that the birds are fed a natural diet or that they live the life of a normal chicken, complete with keeping their beaks (egg-laying hens raised in factory farms routinely have their beaks cut off - a truly horrible practice that is done to prevent them from drawing blood in their extremely close living quarters), having enough room not just to turn around but also to run around in, as well as unlimited access to the real outdoors and all the sunlight, yummy grass, and nutritious bugs they desire. 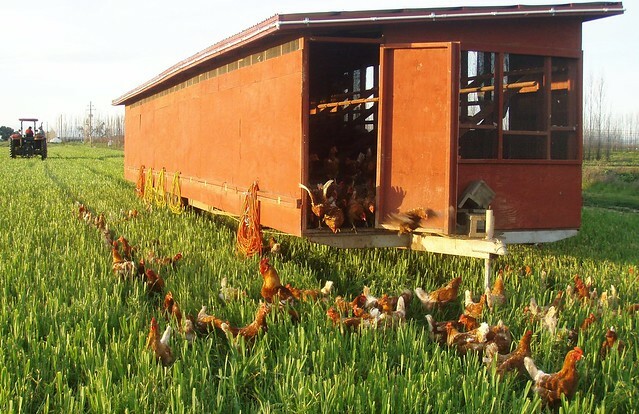 Below is a photo of the lucky hens at Eatwell Farm, enjoying some fresh pasture. 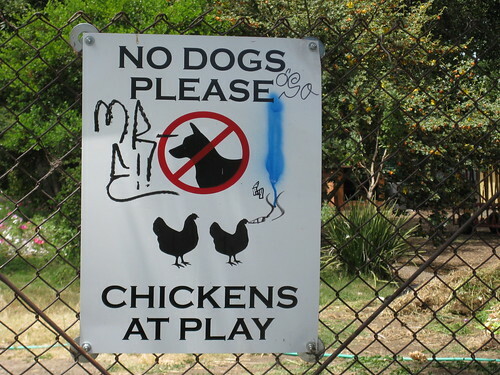 For example, the USDA defines "free-range" as meaning "allowed access to the outdoors." Unfortunately, for many "free-range" birds, this merely means that the factory farm leaves a tiny hatch on its shed open to a bare external concrete yard for a certain number of minutes each day, an "opportunity" the chickens have likely never even learned to take advantage of 'cause really, what would they gain from that sort of outdoor access? 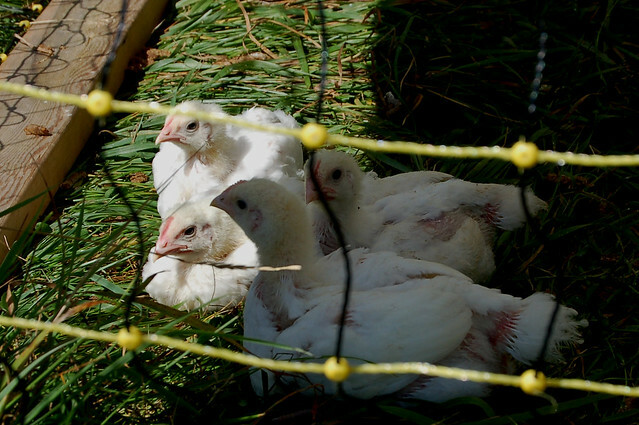 "Organic" certification refers solely to the certification of the birds' feed and while it is certainly marginally better to buy factory-farm organic eggs than not, organic feed does not a healthy, happy chicken (or egg) make. In addition to the fact that pasture-raised animals have lives worth living (which cannot be said of most birds raised on factory farms, even the ones that sell "cage-free" eggs), there are a lot of benefits to us, the egg eaters, as well. Although the results vary slightly for each batch of eggs tested (since pasture-raised chickens' diets do vary by farm and by season, unlike factory-raised birds that eat the same thing all year round), the benefits are clear: pasture-raised eggs contain significantly less cholesterol and saturated fats and significantly more Omega-3 fatty acids, Vitamin E, Vitamin A, and Beta Carotenethan their factory-farmed counterparts. If you're interested in the research, check out the results of this Mother Earth News study as well as the additional studies listed in the Mounting Evidence section at the bottom of page 4. The carbon footprint of your egg-consumption will be lower since they only have to be transported a short distance to reach you. When we lived in California, we bought delicious, pasture-raised eggs straight from our CSA, Eatwell Farm. 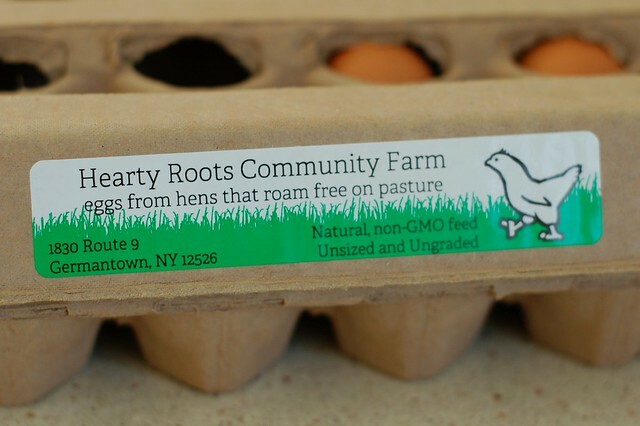 Here in upstate New York, we get them from Hearty Roots Community Farm. 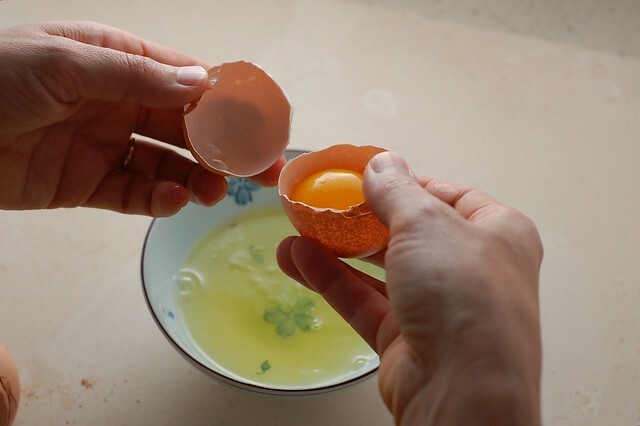 The eggs from their chickens have rich golden yolks that "stand up" -- one sure sign of a fresh, nutritious egg. You can also raise your own eggs! This is as fresh and as local as it gets. Raising backyard chicken appears to be a quickly-growing trend. If you're interested in this idea, check out my post on backyard birds. If you really can't find pasture-raised, local eggs for some reason (they're easier and easier to find), I would recommend buying an organic, free-range option from a more trusted brand, such as Organic Valley or Clover (see my milk post for a review of different organic brands) since they purchase from a network of smaller farms, increasing the chance that the birds are treated more humanely. Also look for a brand that is either Animal Welfare Approved or "humane-certified." Thank you so much for writing a post in response to my comment so quickly! The jump in price from conventional eggs to pasture raised is a little steep, but the Eatwell CSA may just be the right answer for us. Thanks for the suggestions! you're very welcome! It was a good idea. Yeah, the pasture-raised from eatwell are definitely expensive. 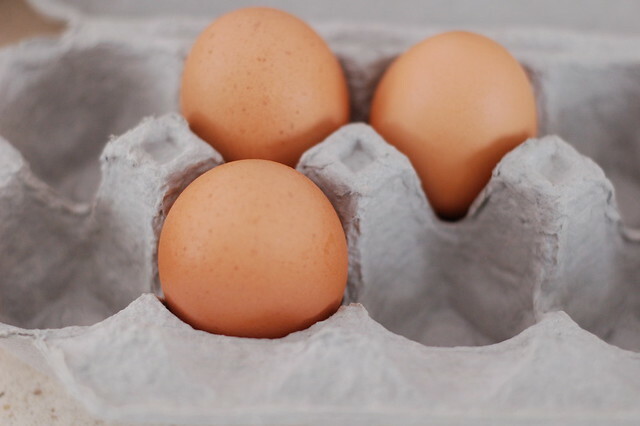 We buy a half dozen every other week and find that works for us (but we're not a huge egg-eating family). Great post! I kept thinking about getting the Eatwell CSA for their eggs alone (after reading your posts about them.) Can't see to find anything comparable in SoCal. I'll have to keep looking. Thanks for the post! I would like to bring your attention to Animal Welfare Approved, the high-welfare label that the World Society for the Protection of Animals calls "the most stringent" of all of the food labels regarding humane treatment of farm animals. The Animal Welfare Approved program audits and certifies family farms that utilize high-welfare methods of farming. Farmers benefit from having a third-party affirmation of their practices and consumers benefit by knowing that the label means what it says. What Does the AWA Seal Mean for You? Animals are raised outdoors on pasture or range on true family farms with the “most stringent” welfare standards. The standards have been developed in collaboration with scientists, veterinarians, researchers and farmers and incorporate best practice and recent research. Annual audits by experts in the field cover birth to slaughter. Visit the website for a searchable database of where you can find AWA products across the US. This was a nice and informative post at all. Thanks for sharing such valuable information with us.